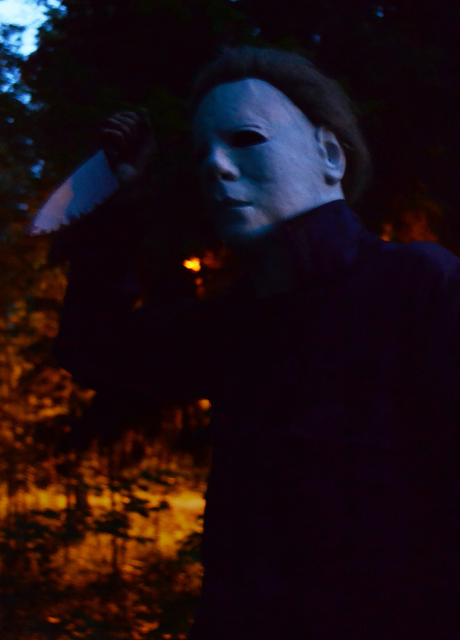 my myers cosplay. custom painted mask and suit, (sadly due to darkness you can't see the details; he was shot six times, remember!) self made replica knife just like in game, we had a photoshoot in the middle of the night in a mysterious forest..